Dim sum-type bites have become somewhat of a fan favourite on the British street-food scene over recent years, with the rise in popularity evident by counterpart Yum Bun opening up a permanent takeaway in Shoreditch last year. I found the guys at Bao London on a hot, sticky day outside Kings Cross with a long, growing queue of hungry customers, each waiting patiently to get their hands on 'gua bao' – a steamed bun sandwich of Taiwanese origin. These white, pillowy buns are made using a fermented 'TangZhong' starter (an Asian breadmaking method also known as a water roux) with milk meaning they were amazingly soft and fluffy, yet robust enough to hold in all the fillings. 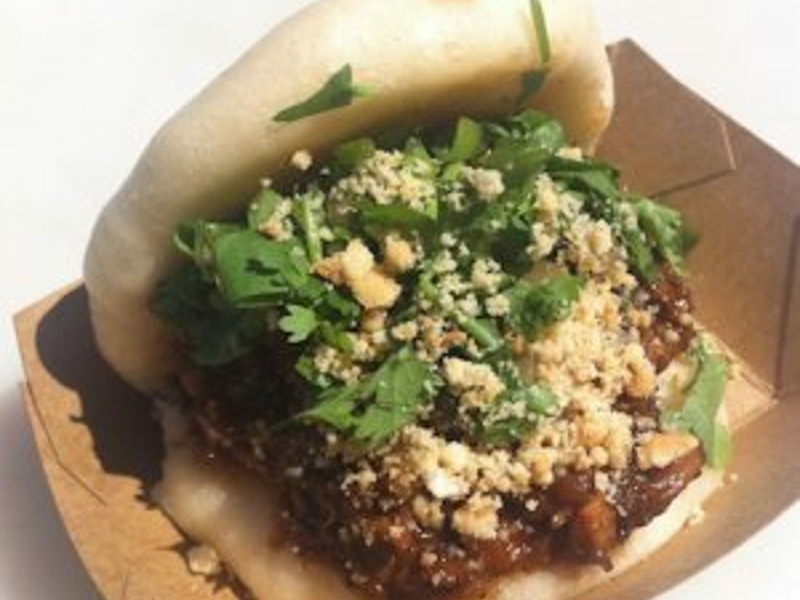 The buns were packed full of slow-braised shredded pork belly in a dark, rich, sweet and sticky sauce with just the right amount of five spice. It was then topped with tons of chopped coriander, pickles and a generous scattering of sweet peanut brittle shavings; each component being as important as the last. These buns (£3.50 each) were small and perfectly formed yet surprisingly filling, so I only needed the one...although I wanted at least two more! To check out Bao London's mouth-watering steamed buns for yourself (something I highly recommend doing ASAP! ), visit their website to see where they will be next.